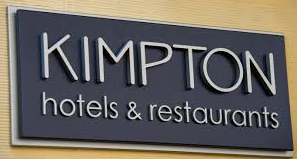 Kimpton Hotels on Wednesday formally acknowledged that malware found on payment terminals in many of its hotels and restaurants may have compromised credit/debit cards of guests who patronized the properties in the first half of this year. The disclosure comes more than a month after KrebsOnSecurity first contacted to the company about a possible credit card breach across most of its locations. According to a notice added to the Kimpton Web site, the incident involved cards used at certain restaurants and hotel front desks from February 16, 2016 to July 7, 2016. Kimpton has posted a list of more than 60 restaurants and hotels where the company found and removed card-stealing malicious software from payment terminals. Kimpton joins a long list of hotel brands that have acknowledged card breaches over the last year after prompting by KrebsOnSecurity, including Trump Hotels (twice), Hilton, Mandarin Oriental, and White Lodging (twice). Breaches also have hit hospitality chains Starwood Hotels and Hyatt.